Massage therapy and chiropractic services go hand in hand due to their	mutual benefits. At	FIDEL INTEGRATED MEDICAL SOLUTIONS, you can receive both treatments. Chiropractic treatment is known for	alleviating pain by realigning your joints and vertebrae. Massage therapy complements chiropractic services by soothing muscle pain	and enhancing your immune system. We ensure you feel better immediately	after one of our massage therapy sessions. As with our chiropractic care, massage therapy can benefit those with lower	back and neck pain. 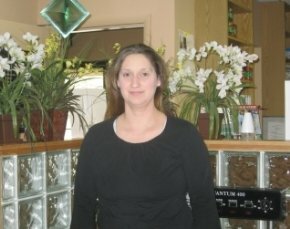 We have a friendly massage therapist on board who	has five years of experience and 11 years of experience as a chiropractic	assistant. When you book your session, we ask you to arrive 10 to 15 minutes early	to get settled in and ensure you enjoy your full 60 minute massage. Make our massage therapy part of your treatment plan by calling FIDEL INTEGRATED	MEDICAL SOLUTIONS at either (410) 484-5642 (Pikesville) or (410) 358-0060	(Baltimore). Learn more about our office and how you can find relief today! Since 1987, our doctors have been helping residents of Pikeville & Baltimore. Call our office today to schedule your next appointment with us! Email us to request your next appointment. ©2018 Chiropractor and Integrated Medicine Pikesville, MD All Rights Reserved.